Get Your Piece Printed On Something Cool! $30 for one full color character, $60 for two, and $25 each additional character beyond that. $30-$60 additional for each character that is in a more 'realistic/painting' style. I take partial payment up front, via paypal or Venmo, and the rest upon completion. If you're interested in a commission, please look at the guide below, and send info on what you'd like! Then we can discuss what the price for your piece might be, and when I can get it to you (in PNG format). 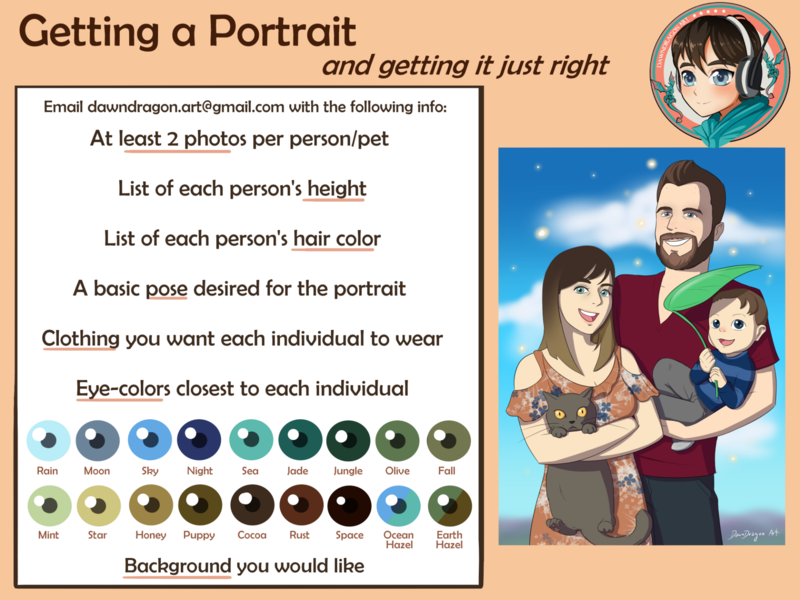 Email dawndragon.art@gmail.com about your business or stream to make sure we make your vision come out the way you want it!